William Shakespeare is perhaps the greatest playwright that ever lived. He was incredibly prolific and wrote a number of plays and sonnets throughout his career. His plays are still performed today, and this is a testament to the brilliance of his writing. His father was a successful glover, and his mother was the daughter of a wealthy farmer. He was the third of eight children in his family; however, not all of his siblings survived, and Shakespeare was actually the eldest surviving son. There is little known about Shakespeare's education. Most historians assume that Shakespeare went to school at the King's New School in Stratford, which was a free chartered school in the area and was close to his home. When Shakespeare was eighteen, he married a twenty-six year old by the name of Anne Hathaway. Shortly after the marriage, she gave birth to a daughter, who was named Susanna. After Susanna, Anne gave birth to twins in 1585. There is a gap of information after the birth of twins, but historians know that by 1592, Shakespeare was part of the London theatre scene. Historians do not know exactly when Shakespeare began to write. The first recorded works of Shakespeare were Richard III and the first three parts of Henry VI. These were written in the early 1590s. However, historians have difficulty dating Shakespeare's plays. Some of his additional early plays may possibly include Taming of the Shrew, The Comedy of Errors, and The Two Gentlemen of Verona. After Shakespeare wrote a number of historical plays, he began writing comedies. These include such plays as A Midsummer Night's Dream, and Merchant of Venice. In the early seventeenth century, he began writing tragedies, such as Hamlet or Othello. In the last part of his career, he focused more on romances and tragicomedies, such as The Tempest. By 1592, several of Shakespeare's plays were performed on stage. After 1594, Shakespeare's plays were performed exclusively by the Lord Chamberlain's Men. The company was owned by a group of players, and it soon became the leading company of performers in London. In 1599, the company used the money gained from its success, and built their own theatre on the south bank of the Thames. This theatre was called the Globe. By 1598, Shakespeare's plays were successful enough that they began to appear on title pages as the lead play during a performance. Despite his success, Shakespeare continued to act in his plays for a number of years. Historians feel that by the 1610, Shakespeare had almost entirely stopped acting in his productions. However, there are stories that Shakespeare did perform certain roles in his later plays, such as the role of the ghost in Hamlet. 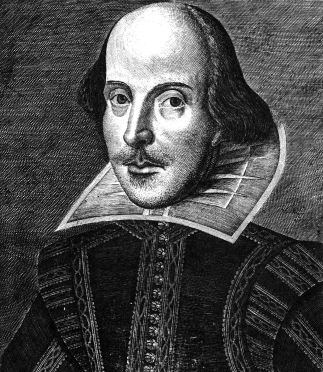 Throughout his career, Shakespeare did not live exclusively in London. He split his time between London and Stratford to be with his family. At some point, Shakespeare retired to Stratford. Yet, historians are divided upon the date this actually occurred. It is known that after 1613, no other plays are attributed to Shakespeare. His final three plays were actually collaborations. On April 23, in 1616, Shakespeare died. In his will, he left the majority of his estate to his eldest daughter, Susanna. He was buried in the Holy Trinity Church, and the epitaph that was carved into his stone was actually a curse against anyone that attempted to move his body. Hopefully, now that you know the history of Shakespeare, you can appreciate his plays even more! "When Was Shakespeare Born?." YourDictionary, n.d. Web. 22 April 2019. <https://biography.yourdictionary.com/articles/when-was-shakespeare-born.html>.